Those epic days are gone when the mythical and legendary archers used to pierce the core of the target with just a sound of crushing a twig. They never need to see or calculate the range for several hours before releasing the bow. There was no requirement of archery rangefinders for those skilled archers. Now, after thousands of years, we are not blessed with that kind of skill anymore, but we are still the same archery zealots right! And the new age archery rangefinders are crafted exclusively for us. For a second, you can dismiss the whole concept and need of archery rangefinders. Imagine the most looked-for morning of your jungle venture, and you are overexcited to test your archery talent on a real and practical situation. Suddenly an absent-minded wild boar grabbed all your attention. But before you could release the arrow, you became his subject of attention. Right now, you do not have that much time to gauge the distance, perfecting the aim and those dark ambiance is just making the mission tougher. Here arises the necessity of an archery rangefinder. How have we chosen the best Archery Rangefinders? What factors to consider before buying the best rangefinder for hunting? I know you already have a clear notion about the differences between a mere binocular and archery rangefinders. Before purchasing an accurate archery rangefinder, an intense understanding of the types and uses of archery rangefinders is required. A rangefinder not only gets associated with hunting, but is also linked with many more activities like golf, navigation, land surveying, and ballistics. Cherry-picking the dead-on gadget is a bit fiddly and need some fundamental concepts. Here, we are trying to elucidate almost all the specifications you need to know about archery rangefinders. The uses of the earliest version of rangefinders were exclusively allied with cameras only. With time and technological advancement, rangefinders stepped outside the photography-specific practices. Right now rangefinders are an essential tool for land surveying and a few navigation systems. According to science, our human eyes have some curbs. Rangefinders helps us to perceive afar that edge. It covers a vast distance and even can sense an entity far away. Few cutting-edge rangefinders can capture almost a near infinite vista at once with its powerful lenses. Rangefinders push us to behold the world with its limitlessness. Laser Rangefinders are the most commonly known rangefinders. A top-notch laser rangefinder, uses the Laser technology to sense an object at an expanse. The exactness of determination of the target depends on the upsurge and drop of the laser pulse. But this instrument is that the beam naturally spread over a vast distance due to the presence of air bubbles in the air. In fact, it's a significant issue. Sometimes people become confused between optical rangefinders and coincidence rangefinder. But the fact is coincidence rangefinders are a particular type of optical rangefinder. Optical rangefinders allow the user to fathom the distance to a specific tangible object. Another type of optical rangefinder is the stereoscopic rangefinder. This particular type of rangefinder comes with two pieces of lenses. It usually fuses two different images into a single picture. If you are a movie buff like me, you have seen Ultrasonic Rangefinders in many movies. This type is ideal for navigation and detecting objects at a distance through sound frequency. Mariners usually use this Ultrasonic rangefinder to identify an object far away under the water level. 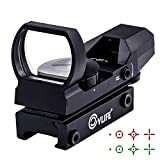 If you try to choose the best laser rangefinder for archery after reading all the available reviews on the internet then being confused is natural. 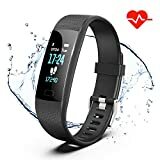 Apart from that, we know that in this busy world, you do not have that much time to invest in buying the best one for yourself. So, we dedicatedly tested almost all the famed rangefinders and read the reviews. Then, we researched the technologies and drew comparison among them. More importantly, we used many of them and checked their performances. Finally, we came to a decision of placing the best ones in the top 10 laser rangefinders list. We have scrutinized the available archery rangefinders and considered each of them based on the provisions as mentioned above. So, buying the costliest rangefinder may not assure the best quality or durability. Rather, understanding each of the related factors of a good and accurate rangefinder is necessary. Based on this research, we have a result in front of you. If you intimately understand the main focus areas of a standard archery rangefinder and you know why you need it, then picking the best archery rangefinder is not at all tricky or challenging. But you cannot discard the necessity of initial research on this topic. We already know about the different types of Rangefinders and what their usages are. Now we need to understand the precise specifications of a rangefinder, the things we should check before electing the best one for us. The requirement keeps changing from man to man. If I need the best cheap archery rangefinder for my primary need, maybe you are scrolling for the best range finders for bow hunting. Whatever the requirements are, a few things we must consider before buying the best bow hunting rangefinder. Every consumer wants a budget-friendly product. But only being reasonable is not enough to prove that any product is best. Archery Rangefinders with arc can be of any price but the quality of the lens, detection capacity and range is as important as the price. On the other hand, an expensive product cannot assure better quality. You may spend more but still get nothing. So your focus should be on buying quality rangefinder at an affordable price. Range: To simply put the distance, laser beam crosses and reflects from the target. But the presence of water and dust in the air, heat waves, etc. also play a vital role. So choosing a gadget with a better range is always the best idea. Angle Compensation: Enquire about the angle compensation feature of the rangefinder before buying it. It is way more important than it seems as it helps you locate your target accurately. Magnification: I know manufacturers always says, “you will get X enlarged view of a target. But remember the heat waves, mists and many other natural factors may deceive your optical power, so you need to choose wisely. You have to choose the lightweight and an easy to carry rangefinders for archery for your hunting excursion. No one wants a hazardous or burdensome product to take. Always go for a compact and portable one. I do not think you want to buy any temporary product which will last for 6-7 months. Those are hard-earned money right! So longevity is a significant factor. Before purchasing any product, check whether the manufacturer is providing warranty or not. Power Source is one of the most important factors and the component of a good rangefinder for bow hunting. Remember, you are going to use these rangefinders in extreme settings so forget about a charging point or electric source to power up your gadget. So the best idea is to buy hunting rangefinder with good quality and rechargeable battery. A rangefinder with quality scanning capacity allows the hunter or archer to target and detect multiple objects at a time. Almost every laser rangefinders have a reticle which is a targeting point you perceive when seeing through your rangefinder. Most of the rangefinder features an LCD display which you have to fix on target, but for low light, this kind of LCD reticles are useless. So choosing an archery rangefinder with the illuminating reticle is a good idea. Generally, archery rangefinders come with at least one year warranty. Assurance builds an unexplainable trust between the consumer and the manufacturer. By accessories, we mean, cleaning clothes, wrist wraps, carrying storages and sometimes the rubber guard for the rangefinder. These are the necessary tools you will need for a quality rangefinder. These accessories will protect your rangefinder from any physical harm. 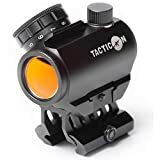 After examining and comparing all the archery rangefinders reviews, we came up with a conclusive list as to which are the best and cheap hunting rangefinders based upon the features mentioned above. This is true that not a single archery rangefinder is flawless, but we believe we have successfully identified the top 10 rangefinders archery for bow hunting according to the bow hunting rangefinder reviews. So here are the top 10 best archery rangefinder for the money. If you are a speed hunting fan, then TecTecTec ProWild Hunting Rangefinder is for you. This rangefinder is known for its accuracy in laser range management. 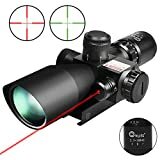 The laser range is within +/- 1 yard up to 500 meters which makes it one of the best rangefinder for long range shooting. Its magnification is better than contemporary archery rangefinders. Its ultra-clear visual performance helps to have an unfailing and fingertip operation. Scanning is one of the essential features of a rangefinder. And this product has a powerful scanning capacity. 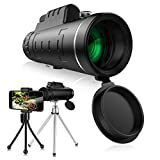 The objective lens of 24mm and 4X magnification makes it the topper of this list. The product is easy to carry because of its lightweight and the comfortable wrist strap. This rangefinder is just 185g, and the measurement is 104/72/41 mm. The body of the item is entirely water and dust proof. This excellent product is cost effective and durable. You will never regret after buying TecTecTec ProWild Hunting Rangefinder. Accessories Case and Lanyard is included. It’s a complete package for fast setup, strap, cleaning cloth, free CR2 battery, carrying pouch and quick guide. The product is very lightweight. This archery rangefinder is very easy to carry. It gives an Accurate Scanning. The item is known for Crystal-clear vision. Don’t expect the night mode or night view without external light. Because of the lightweight and durability, the TecTecTec ProWild Hunting Rangefinder can be your best choice for your best hunting rangefinder expedition. You do not need any additional tool to set up or use this product, and your hand is enough to handle this product and get the best out of it. And the one year warranty proves the manufacturers’ confidence in their product and assures their buyers. So get rid of all your worries and confusion and grab the TecTecTec ProWild Hunting Rangefinder. This rangefinder performs far better than your speculation and all your expectation. We know how hard it is to pierce the impenetrable thickets of the jungle to get that most awaited hunt. Do not worry about that anymore because Wosports Hunting Rangefinder is the ultimate solution for this prolonged issue with bow hunters. Ranging up to 600 yards, this one is one of the best rangefinders for bow hunting has a reputation for having one of the best speed ranging capacity and laser hunting accuracy. 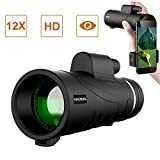 The superb magnification quality of the gadget enlarges the visual appearance of the target and never messes with the precision. Even in the dense and murky forest, the speed ranging laser technology can detect any distant target beyond any obstacle. With an object lens of 22mm, accuracy of +/- 5 yards this laser rangefinder provides perfect sight of the target. The rubber Armor of the product protects the rangefinder from external effects. Another reason which makes the product more captivating is its attractive storage, portable size, lightweight, and battery capacity. After frequent use, the rubber Armor starts falling apart. If you are looking for a budget-friendly, a durable and good quality rangefinder for hunting or archery, then you can buy Wosports Hunting Rangefinder undoubtedly. Its motion detection technology makes it élite and recommendable among many of the contemporary rangefinders. A hunting fanatic will seize the product just after getting a single view of this product. The smart and compact design is preordained to amaze everyone. In spite of its feather-like lightweight Bushnell 202208 Bone Collector Edition 4x Laser Rangefinder does not look like a mere plastic model. This product is an accurate example of the best portable rangefinder for hunting because you really can carry it in your pocket. This laser rangefinder has a 21mm lens with 4X magnification, capable enough to deliver accuracy of +/-1 yard. The camo look of the tool is perfect camouflage for forest settings. The waterproof body is ideal for any weather. This small but rugged looking rangefinder is rainproof and operates smoothly in extreme humid settings. When it comes to Bushnell, a natural trust instantly starts working in our heart. Bushnell 202208 Bone Collector Edition 4x Laser Rangefinder may have some issues, but it depends on your need and purpose. If you are in search of one of an easy to use and compact rangefinders, then pick it without any hesitation. I am always fanatic about the color Black. And sleek design with black color makes the Vortex Optics Ranger Laser Rangefinders a truly captivating one. 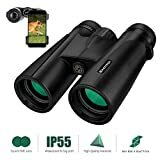 The intuitive feature, high capacity, elegant design, rich visibility, and many other useful features make it one of the best hunting rangefinders. With an impressive accuracy of +/- yards, Vortex Optics Ranger Laser Rangefinder has Horizontal Component Distance (HCD) mode to detect an object in the sloppy area. The Line of Slope mode helps to crunch the distance accurately. This item is perfect for high angle shots and enhanced precision with richer visibility. So stop worrying about missing the desired target. Exclusivity HCD mode display, improved precision, LOS Mode, Scan Mode, Multi-coated lens. The packing is completely compact. To fix it on a target you need to press the buttons thrice. We know it’s a pretty challenging thing to press the button three times to fix a target but apart from that Vortex Optics Ranger Laser Rangefinders does not have any significant drawback. Its high accuracy is the major exclusive feature of this smartly crafted rangefinder. So we wish you all the luck if you are about to buy this product as one of the best hunting rangefinders. The most professional’s favorite and a technologically advanced laser rangefinder is the Laser Works LW1000PRO Professional-Class Laser Rangefinder. No, we are not saying this out of any biases. The distinct features of this product are the proof of this statement. Every hunter faces specific issues with fog. Well, Laser Works LW1000PRO Professional-Class Laser Rangefinder has a particular fog mode which has an excellent role to play precise targeting which makes it one of the best rangefinders for hunting among all. For reflective targets, it can measure up to 1600 yards which is amazing. It has the magnification of 6X. The 70.1 microwatts laser radiant power is comfortable for the human eye. Apart from being lightweight, this professional choice rangefinder has portable size, horizontal measurement, and continuous scanning enhances its goodwill in every sense. Range 5-1000 yards, extra 1600 yards for extremely reflective aim. The plastic case is not that much durable. The auto shut off after 15 seconds of inactivity can be problematic for a few users. If you are a professional archer or hunter, then you already understood the mastery of the manufacturers of this professional rangefinder. The specifications of Laser Works LW1000PRO Professional-Class Laser Rangefinder are convincing enough and does not need our recommendation at all. So, you are in a tight budget and search of a well-functioning rangefinder! Well then keep reading about this beautiful gadget called Simmons 801600 Volt 600 Laser Rangefinder. You will get all the essential functions in this convenient rangefinder. The 9-volt battery is enough for your short weekend expedition. And this rangefinder is skilled in detecting the target quickly than many other co-existing ones. The LCD visual display provides a clear view of the area ahead. Be it accuracy or budget, the Simmons 801600 Volt 600 Laser Rangefinder is unbeatable. The 4X magnification, 20mm lens with 600 yards ranging capacity, this rangefinder is the best deal kind of a purchase. It has an improved ergonomics. If you need dust or water resistant rangefinder, then this one is not for you. There is no battery with it. Yes, we know that this has some lack, but we can assure that considering the price, you will avail benefits if you buy this one. We have already mentioned the drawbacks and tried to give you a clear understanding of its usability and limitations. So, if you are just at the beginning phase of hunting, then Simmons 801600 Volt 600 Laser Rangefinder can be the best deal for you. Nikon does not need any introduction. Few names are enough to convince any people on earth, and Nikon is one of those few names. Nikon is almost synonymous to advance technology. So Nikon 16224 Arrow ID 3000 Bow hunting Laser Rangefinder’s advanced technology is nothing new. The cutting-edge ID or incline/decline technology is used in this particular laser rangefinder which makes it one of the best rangefinder for bow hunting. This ID technology helps to gauge the target at any angle. 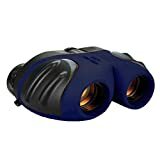 The product has the multicoated lens of 20mm with fixed magnification 4X. The single button mode makes it more user-friendly. The Nikon rangefinder’s eye-relief is a blessing for all. If you are a hunter with glasses, then you definitely know the importance of an eye-relief. Nikon 16224 Arrow ID 3000 Bow hunting Laser Rangefinder has 20.5 mm eye-relief. Its magnification capacity is 4X, and it has the true-target technology. The product does not come with a case. Tech Savvies know the importance of advanced technologies. We carry rangefinders to get the best out of our expeditions so picking the advanced one is always a right and well-thought decision. The superb ID and true-target technology is the secret behind the exclusivity of this rangefinders. So stop brooding over the features and trust your gut feeling which says Nikon can never disappoint you and go for it. Another Bushnell wonder is 202442 The Truth ARC 4x20mm Bow hunting Laser Rangefinder. This highly accurate and lightweight rangefinder can be the best buy of a hunter due to its clear shot and light gathering capacity. Bushnell wonder is 202442 The Truth ARC 4x20mm Bow hunting Laser Rangefinder has a 20mm objective lens with a magnification of 4X which is far better than many other rangefinders. The 850 yards ranging capacity and the zooming feature is really helpful to get the target. The optics are multi-coated, and the tool can gather better light due to its high-quality LCD display. The rangefinder is very easy to use, and because of its clear shot facility, you can entirely rely on this best hunting rangefinder. With a single button mode, this rangefinder is easy to use. The CR2 battery is a long-lasting source of power. The product is not waterproof or mist proof. Bushnell 202442 The Truth ARC 4x20mm Bowhunting Laser Rangefinder is not at all a right choice for night adventures. This one does not perform well in low light. The clear shot technology is a significant feature which assures its position among the top ten laser rangefinders. And the trusted Bushnell tag ensures its durability and longevity. Bushnell 202442 The Truth ARC 4x20mm Bowhunting Laser Rangefinder may have a few loopholes, but its other great features easily grab all the attention. So do not brood over the ‘yes’ and ‘no’ factors and enjoy your hunting with this super easy and accurate laser rangefinder. The Leupold RX-650 Micro Laser Rangefinder 120464 is unique, well-built and compact. The beauty of this less complicated rangefinder is that even a novice can handle it with ease. The product includes CR2 lithium battery to get you started. The lanyard is also carefully made to carry it properly. The LCD provides précised measurement, and the 6X magnification helps to track the game accurately. Its light weight makes it more useful for any expedition. With the objective lens of 20mm, this laser rangefinder can deliver the perfect image of the target. The usual range is 650 yards, but surprisingly it can cover up to 750 yards. It has the capability of detecting small animals too. The range finder has two different modes, and those are the scan mode and single-range mode. The multicoated lens provides excellent light gathering facility and perfect precision. This laser rangefinder does not offer a dioptre adjustment facility. Finding out the drawback of this product was a challenging task for us. It has everything you need. Be it a simple but essential rubber Armor or the fascinating multi-coated lens; the item is a production of a well thought and technologically advanced making. The fast focus eye-piece with the quick adjustment is the essential quality of a top rated archery rangefinder. And The Leupold RX-650 Micro Laser Rangefinder 120464 will never disappoint you based on these features. If you are a pro hunter, then you do not need an intro for Sig Sauer. Just like the Bushnell, Sig Sauer also has a never fading reputation for making quality products. SIG Sauer Kilo850 4x20mm Laser Rangefinder will never make you regret if you buy this affordable and user-friendly rangefinder. With the object lens of 20mm and magnification of 4X, this laser rangefinder provides a crystal clear vision of the game. Another attractive fact about this gadget is its quick response time. It takes 25 seconds only to respond. It has the reflection capacity up to 1200 yards which is pretty good. The exit pupil is of 5mm. The built-in inclinometer of SIG Sauer Kilo850 4x20mm Laser Rangefinder allows the hunters and archers to measure the angles, elevation, and slopes. 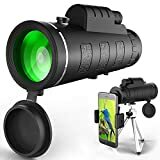 Another exclusive feature of this item is its eye-relief which is of 24mm so if you use glasses then not to worry about the well-being of your eyes anymore and get the experience of best hunting rangefinder. The product’s object lens is not very good quality, but you can consider that because of its price right! SIG Sauer Kilo850 4x20mm Laser Rangefinder is perfect for hobby or amateurish use. It is suitable for beginners as well. So if you are learning the hunting tricks or accompanying your Dad or trying your hands on archery, then you can get this super affordable and user-friendly rangefinder. Just give it a try before reaching any conclusion about this one of the most bought item. So, we hope you already got the variety of top hunting rangefinders as per the size, quality, durability, and price. The market is full of best, good, average and poor kind of rangefinders but decide after thinking about your purpose and features as mentioned above. I always prefer a compact one, but that doesn’t mean that my brother will like the same. We have tried our level best to mention all the necessary features, facts and figures to help you understand and buy the best rangefinder for hunting. Now you can quickly pick the right one for you. Determining the best rangefinder can multiply your overall hunting experience. So go and get the best. Happy hunting!